You’re reading novel The Demonic King Chases His Wife: The Rebellious Good-for-Nothing Miss Chapter 88 online at LightNovelFree.com. Please use the follow button to get notification about the latest chapter next time when you visit LightNovelFree.com. Use F11 button to read novel in full-screen(PC only). Drop by anytime you want to read free – fast – latest novel. It’s great if you could leave a comment, share your opinion about the new chapters, new novel with others on the internet. We’ll do our best to bring you the finest, latest novel everyday. Enjoy! Su Luo walked cautiously through the mountain range, hoping to find a way out. Right now her strength was very low, and she wouldn’t dare indiscriminately dash around everywhere, b.u.mping into things. As a result she was very careful while making her way along the roads. She had already accomplished her goal for entering this mountain range. Although the process was very thrilling, her luck had been exceptionally good. There had been plenty of unforeseen perils and no shortage of danger. Not only had her s.p.a.ce opened, she had also formed a contract of equals with the little divine dragon by a sheer accident among many implausible causes. However it was a pity, that the little divine dragon had been carried home by its mother dragon. Su Luo sighed, slowly searched for a path to leave the mountains. However what she did not know was, that on the other side, Nangong Liuyun was about to go mad in his search for her. Nangong Liuyun’s face was pale and unwaveringly fixed on the trunk of the thousand year old ancient tree. His tightly clenched fist was blanched white! The ancient tree stood as before, but the wooden house that had been on the top had disappeared without a trace. For Nangong, it was as if someone had walked away, taking with them even the pots and pans, without even leaving a speck behind. As Nangong Liuyun stared rigidly at that thousand year old ancient tree, his eyes were ruthless, tyrannical and cold enough to freeze everything within his gaze. On his handsome face that was normally nefarious and devilishly charming, something had changed. Now his face was a wave of astral frost. His stare was violent like that of a wild beast’s and filled with a cruel bloodl.u.s.t. Nangong Liuyun could only feel a sharp pain bursting from the area near his heart. The ache was so painful that he almost suffocated. By his side, stood an exquisitely beautiful woman that was elegant and quiet, seemingly above the common populace. She was dressed from head to toe in only a snowy white gown. A graceful neck, a slender waist, and, just below, a skirt that seemed to flow with the breeze, as if wis.h.i.+ng to transform into a beautiful wisp then disappear like snow melting into spring. This person was not a stranger. She was none other than the rumored Jade Lake’s fairy. Nangong Liuyun’s complexion was like a sheet of ice. He hadn’t spoken a word, but his eyes were full of self-loathing and guilt. All of a sudden, he severely slapped himself hard, quickly followed by another slap! The strength his hands used could frighten people, and with only these two slaps, he was able to make himself vomit blood. “Third senior brother!” A thread of anguish flashed across Jade Lake’s fairy’s eyes. She hurriedly pulled at his hands to prevent him from doing further harm to himself. “It’s all my fault! If I didn’t leave her, she wouldn’t be….” A thread of tormented pain flashed across Nangong Liuyun’s handsome face which had lost all of its original devilish charm. His strained voice hinted that he was being choked by his own emotions. What happened here? How could Luo girl have disappeared? It was all his fault. He shouldn’t have abandoned her in that moment of peril. If he didn’t abandoned her, how could this have had a chance to occur!?!? In the midst of blaming himself, Nangong Liuyun ruthlessly smashed his clenched fist towards the trunk of that thousand year old ancient tree. The ancient tree, which had a width equivalent to ten people that were wrapped arm in arm, fell to the ground with a bang. A large cloud of dust rose concluding its thousand year lifespan. “You don’t understand. She doesn’t any spirit strength in her body.” A touch of despair pa.s.sed through Nangong Liuyun’s eyes. His Luo girl absolutely do not know how to harness spirit power. Alone and being left behind, how could she survive in this Sunset Mountain Range when the entirety of its length and breath was filled with wild beasts? Maybe even now…Every time he thought about it, Nangong Liuyun would feel waves of tormenting pain gripping his heart. “This won’t do! I must go look for her now!” Nangong Liuyun struggled to stand up because of insufficient strength he almost fell. 1) Third senior brother – Chinese literal translation is third brother from the same teacher. Students under the same teacher can call each other brothers, sisters etc. often seen in martial art sect. 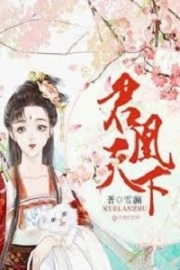 You're reading novel The Demonic King Chases His Wife: The Rebellious Good-for-Nothing Miss Chapter 88 online at LightNovelFree.com. You can use the follow function to bookmark your favorite novel ( Only for registered users ). If you find any errors ( broken links, can't load photos, etc.. ), Please let us know so we can fix it as soon as possible. And when you start a conversation or debate about a certain topic with other people, please do not offend them just because you don't like their opinions. 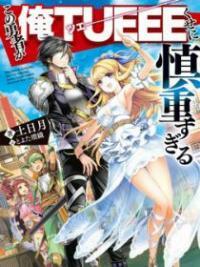 You're reading The Demonic King Chases His Wife: The Rebellious Good-for-Nothing Miss Chapter 88. This novel has been translated by Updating. Author: Su Xiao Nuan,苏小暖 already has 14077 views. Current Time is Apr-19-2019 14:47:57 PM.